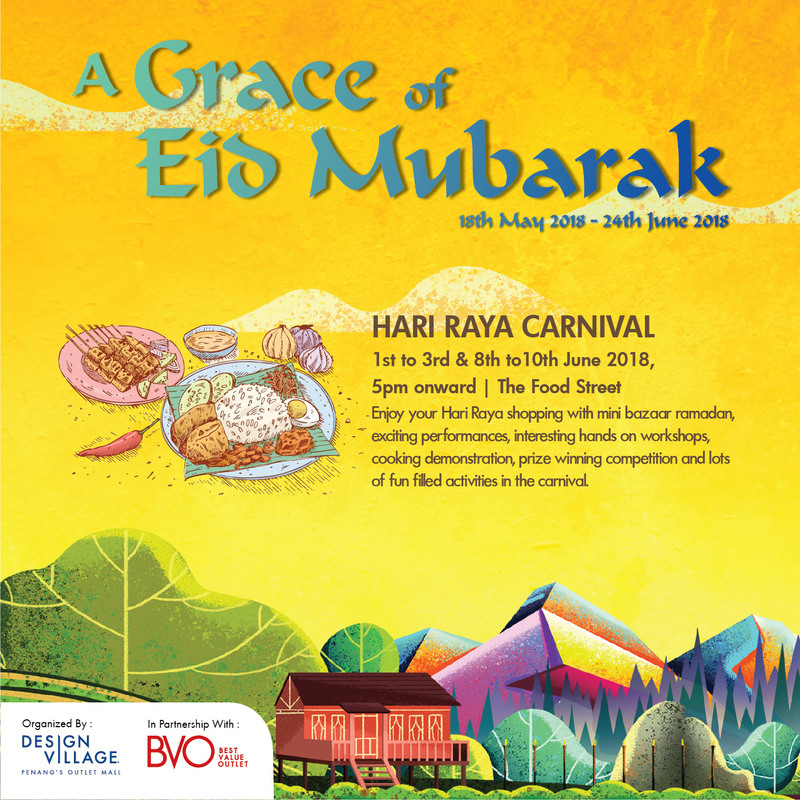 We proudly present to you our A Grace of Eid Mubarak Raya Festival in conjunction with the Ramadan month celebrated by all our Muslim friends and shoppers! Don’t forget to redeem our Design Village Exclusive Raya Packets at our Customer Service Lounge with the minimum spent of RM300 in a single receipt. Enjoy your Hari Raya shopping with mini bazaar ramadan, exciting performances, interesting hands on workshops and many more awaits you!